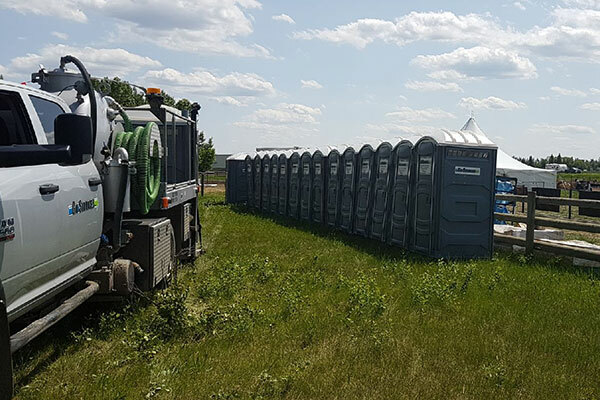 Knowing proper Porta-Potty Placement for Outdoor Races is crucial when “running” a sports event – get it? Factors such as numbers, placement, and type of unit all play a role in having a successful event. Furthermore, knowing you can rely on the right company to get it all together for you is just as important. For the purpose of being as accessible as possible to your athletes so they can focus on the event, the following are a list of things to keep in mind. It could be a Marathon, Fundraiser, or any kind of Obstacle Race – regardless, always plan for more units. As well as the racers themselves, you must take into account their families who may be coming to watch, volunteers, and staff. Meanwhile, you are also going to want to account for pre/post-race festivities. All in all, being underprepared could leave your athletes upset about having to wait long lines. This may cause them to lose precious minutes on their race! Dependent on the climate and terrain, placement can be a delicate task. The majority of runners will not want to veer too far off the path in order to reach a restroom. In the meantime, having units too close to the race path/trail could leave the athletes susceptible to injury with doors opening/closing. Keep the units in well-lit locations, away from mud/debris, and in a location that is visible from a distance to allow runners adequate time to plan a break. Different types of races require different types of units. As part of keeping your event inclusive, we offer Accessibility Units with up to 16 square feet of floor space. These units work great for any guests/athletes that may require the use of a wheelchair, or simply need the additional space. Men’s vs. Women’s – keep in mind, you may need to have spare signage on hand to decipher between male and female restrooms. Distance Marking – keep your athletes engaged in the race with proper distance markings to the next bathroom stations. Racers Only! – do your best to keep friends/family out of the restrooms that are placed directly on/near the running path. To eliminate downtime for your racers, these units should be left solely to the individuals participating in the race. At Go Services Inc. we are ALWAYS here to answer your questions. Need a quote for numbers? No Problem! Feel free to give us a call on our Toll Free Number: (855) 342-9950 and we will do our best to serve you.